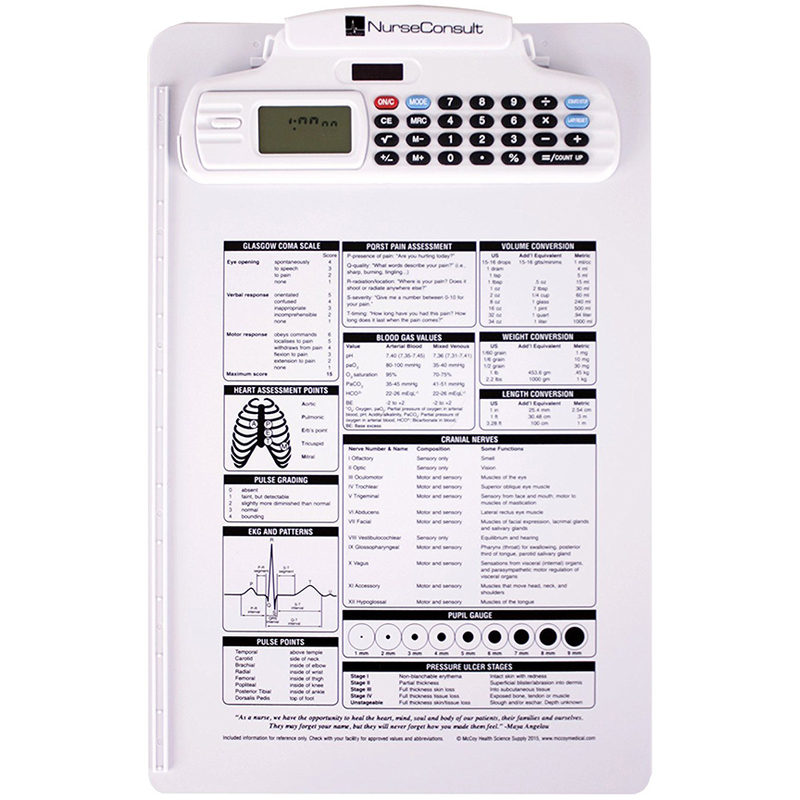 Designed by working nurses for nursing students, nurses or any healthcare professional, the McCoy NurseConsult clipboard contains the best collection of necessary day-to-day reference information. • Real Time Clock with time of day and calendar. • All information is permanently printed directly onto the clipboard. No stickers! • Dimensions: 13.75" x 9"